In this essay, we will make a thorough study of the technical and administrative factors that contributed to the failure of the Shuttle Challenger project. Starting from paying attention from the planning stage, the implementation of the project, and even the consequences and further investigations, to be able to identify the lessons to be learned in both areas. It is expected that by completing this task, we can notice the critical factors that we need to pay particular attention to approaching ourselves as students that can develop projects successfully. A case study published in « Case Studies in Engineering Failure Analysis« , July 2013. The high strength aluminium alloy Al–5.5Zn–2.5Mg–1.5Cu (AA7075) is being widely used in realisation of aerospace components. A component ‘fill and vent valve’ used in liquid propulsion system was fabricated from AA 7075 forgings in T7352 temper condition, and subsequently undergone various functional tests, four years back. Recently, during dye penetrant test after proof pressure test at 525 bar, a valve indicated presence of a crack. Detailed metallurgical investigation indicated that failure was caused by stress corrosion cracking. Abstract. The intention of the present short review is to introduce to the non-specialist reader the feasibility of the use of alternative materials not generally considered by engineers working in mechanical and structural applications. 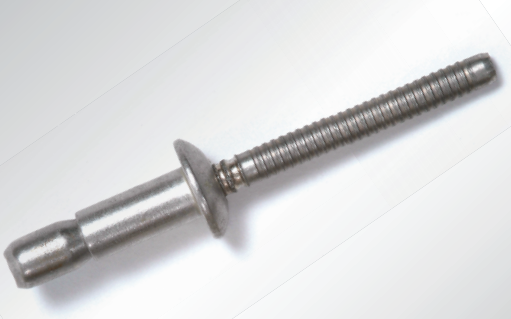 That is, the use of specialised aerospace rivets in the more general area of construction is considered. To this end, the text briefly overviews the different types of fasteners used in the construction industry and their common mechanisms of failure. Une proportion importante des défaillances mécaniques sont liées à des problèmes d’assemblage. Vissage, soudage, rivetage, collage… aucun type n’est épargné. Le Cetim traite pour sa part, plus d’une centaine de cas d’analyses de défaillance liés à cette problématique par an. Erreurs de conception, problèmes de procédés ou de mise en œuvre d’assemblage, défauts de matière, sont autant de pistes à explorer pour identifier et localiser les origines du problème. Des solutions correctives et pérennes appropriées sont ensuite proposées et mises en œuvre. Les experts du Cetim se tiennent à votre disposition pour vous apporter conseils et expertises dans cette problématique. N’hésitez pas à les contacter : cliquez ici.